While we live in an age of division and inequity—which this past year was made oh-so-painfully clear, on both a domestic and global scale—nothing brings people together, regardless of background, quite like a shared love of music. The wonderful thing about truly great music is that it knows no boundaries. Whether you’re white or black, liberal or conservative, theistic or atheistic, the sweet sounds of Hey Jude and Beethoven’s Fifth Symphony do not discriminate, and represent lasting excellence which is decades or centuries old. Great music endures and, moreover, it unites. To that end, music festivals have been and can be a great way to get people to Come Together. Everyone’s heard of Woodstock, perhaps the most famous one-off music festival in modern memory, but there are many recurring music festivals which you can visit and unite with family, friends, or even complete strangers over the shared love of the same music. What’s more, some of these music festivals have taken on a life of their own, becoming cultural touchstones for the places they’re held, and bastions of culture. Here, then, are 10 music festivals you’re going to want to be sure to visit before you die. Salzburg, despite being Austria’s fourth-largest city, isn’t a huge city size-wise, but it’s on the map for one truly titanic reason—it is the birthplace of the original musical prodigy, the wonderful wunderkind Wolfgang Amadeus Mozart. If you’re as much of a classical music or Mozart fan to know and love all of these, you’re not going to want to miss one of Europe’s premier cultural festivals in music, or, indeed, any artistic medium, the Salzburg Festival, which is held every year to commemorate young Mr. Mozart and his immense body of work. The festival itself began in 1920, is held for five weeks during the summer beginning in July, and is a showcase for drama as well as music, as an adaptation of the famed Medieval play Everyman is generally performed. Several storied composers besides Mozart have had their work featured here, including Richard Strauss, who is regarded as a great composer in his own right and is likewise one of the festival’s founders, and many great opera singers have showed off their skills here over the years. Another great thing about the Salzburg Festival is that it’s one of the best places in the world to catch a production of one of Mozart’s many acclaimed operas. Whether you’re eager to hear the jaunty Le Nozze de Figaro (The Marriage of Figaro), the darkly-foreboding baritone of the Commedatore from Don Giovani, or the sound and fury of the Queen of the Night from Die Zauberflote (The Magic Flute), the last of which was included on the Voyager Golden Record and has thus been preserved and deemed an example of one of the finest examples of culture here on Earth, the Salzburg Festival is your ticket to a great Mozart-themed operatic experience. Add to that pieces by Strauss, and you have one of the best festivals for Germanic, Italian, and Austrian operas and classical music in the world. And as if that weren’t enough of a musical reason to go? Mozart, Strauss, and Movies Where Julie Andrews Sings? These are a few of Our Favorite Things, as the hills truly are alive with The Sound of Music in Salzburg. If you live in Southern California and have never gone, Coachella is nevertheless something of a myth which you cannot escape—much like, say, a day when the 118 or 405 freeways are not being completely backed up with traffic come rush hour. Coachella is thankfully more a tangible reality than that, a music festival where you can indeed party like it’s 1999, the year the festival began. The festival, first held in Coachella, California—hence the name, though it now rotates among different So Cal cities—is a celebration of all manner of different kinds of music music, as past lineups have included names as diverse as Sir Paul McCartney, the Beastie Boys, Kanye West (insert your own Kanye joke here), Dr. Dre, the late Amy Winehouse, Beck, and many other big-time names. Californians are—in theory, at least, if not in practice—big on conservation and protecting the environment. To that end, Coachella has long cultivated an image as a socially and environmentally-conscious music festival, with recycling programs and other institutions aimed at increasing sustainability, all while giving the festival itself good PR. If you’re into a range of different genres of music, conservation, or just want something to do during your stay in sunny Southern California, Coachella provides a great option, and a great experience to tell friends about. The Osheaga Festival is one of the most prominent music festivals in the province of Quebec, and Canada at large. It is held in Montreal and, like Coachella down in sunny California, is a celebration of indie music, and has featured such acts as the Decembrists, the Smashing Pumpkins, and Coldplay. Montreal has a long and proud history of being a prominent city in the “alternative” scene, dating back to the 1960s and 70s, when it was a destination of choice for draft dodgers and Americans seeking to leave an America consumed by corruption and violence abroad and at home behind. That legacy lives on today, and Osheaga is a great reminder of Montreal’s libertine heritage. On the other hand, Wagner was an inveterate racist and bigot, someone who believed in the ideals of Aryan supremacy and nationalism to the point of near proto-fascism, who spoke openly about his violent hatred towards Jews, who actively campaigned to get them kicked out of positions musical and otherwise in Europe, and who in time would, sadly, become Hitler’s favorite composer. Whether you like Wagner or not may or not depend on whether you can accept that aspect of Wagner the man, but regardless, the Bayreuth Festival is one of the premier classical music and opera festivals in the world, devoted primarily to the celebration of one of the most influential—and problematic—artists of all time. Bayreuth is special among the festivals listed here in that it’s one of the few on this list where the artist or artists being honored had a hand in actually shaping the nature of the festival itself. Wagner himself conceived of a massive theatre which would be suitable for the epic scale of this Ring Cycle in particular, and that’s precisely what you’ll get with the Bayreuth Festspielhaus, a massive opera house which is still one of the most famous in the world given its size and connection to Wagner’s original dream. The downside of this festival—aside from the very real possibility of your detesting Wagner as a person—is the cost. As you might expect, seats for an opera festival this prestigious at a place this famed among opera aficionados sell out quickly, and don’t come cheap. Chances are, if you really and truly love the music of Wagner, you’ll be best served planning for this festival years in advance, planning on acquiring tickets as far in advance as possible, and going to a few on this list first instead. That really is about the size of this celebration held in the hometown of arguably the greatest of all German composers. From his immaculate Ode to Joy (so beloved it is now the anthem of the European Union) and the whole of his 9th Symphony to his more contemplative Moonlight Sonata, the great Ludwig van Beethoven remains one of the most distinctive and musical presences in the world. Much like Mozart and Wagner, if have any knowledge of Western music at all, you know it when you’re listening to a piece by Beethoven—and even if you don’t, you know you’re listening to work of genius. Beethovenfest in Bonn serves as both a celebration of the composer and the city, and this festival shows off both at their finest. If you’re looking for an excuse to visit Germany, there isn’t a better one out there than Beethovenfest. While this isn’t a festival devoted strictly to music, it’s still one worth listing, and definitely one worth attending if you’re interested in experiencing different cultures which don’t get a lot of attention on the greater Western zeitgeist. 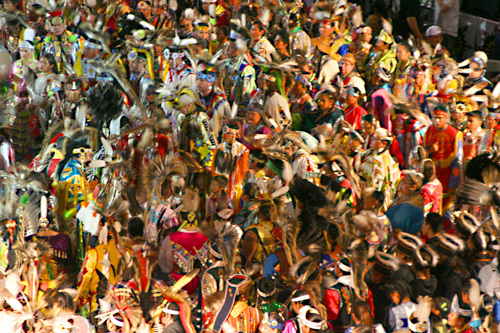 The Gathering of Nations is one of the largest pow-wows in the United States, is held during the fourth week of April, and features more than 50 different and distinct Native American tribes, all contributing different elements of their cultural heritage in a massive celebration held in Albuquerque, New Mexico. 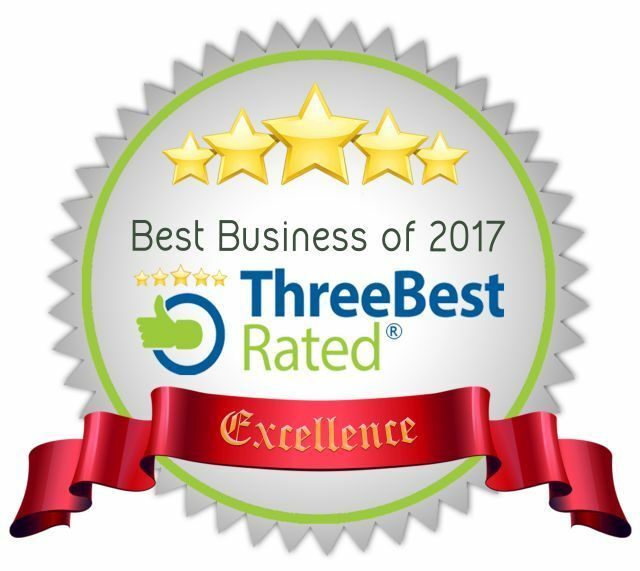 You can take in dance competitions, purchase fine pieces of Native American art and cuisine, and enjoy some on the most impressive and intense singing and dancing competitions in the Americas. If you live in the great state of Texas—or live in the United States and therefore, as with New York and California, Texas is a state whose culture and politics are constantly thrust upon you—chances are you may have heard of the saying “Keep Austin Weird.” Yes, in a state which features the highly-conservative Dallas/Ft. Worth area as well as San Antonio and, of course, NASA-heavy Houston, Austin, of all cities, is the capital of Texas, and it has a bit of a reputation for being just a tad less button-up conservative and a bit more “out there” than the rest of the state (again, as with Kanye, insert your own jokes here). It should come as no surprise, therefore, that Texas, one of America’s most prominent states, and Austin, one of the truly unique cities within that state, should be home to a music festival on the rise in prominence and importance, South by Southwest. Think Coachella, but in Texas. Then again, SXSW is notable in its own right, with a huge film element and a history of influencing alternative culture, such as the recent film Frank, which prominently features SXSW. Technically, this is more of a “season” than an out and out festival, as the whole schedule runs for a few weeks, but if you have any love for classical music or the British Isles, this is definitely an event you’re going to want to attend. 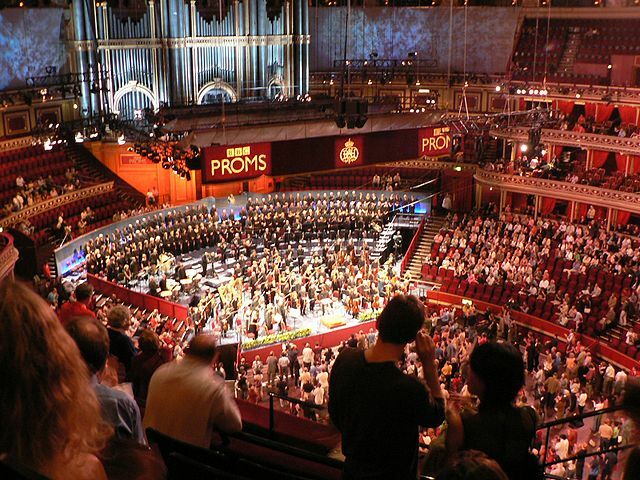 Held in the historic Royal Albert Hall in London, this is a celebration of all manner of different classical music pieces, but if you have a love for Britannia in particular, this is definitely the place to go. After all, at what other festival might you hear, on any given night, Jerusalem, some Gilbert and Sullivan, some Doctor Who, or Mary Poppins? One of the most charming things about the Proms is that, if you happen to click on these links, you’ll find in quite a few instances that the audience itself becomes part of the performance, forming a chorus of thousands which transforms “A Spoonful of Sugar” into something that much more delightfully cheery, or the aforementioned “Jerusalem” into a somehow even more patriotic and moving display of British pride. Yet another great alternative music festival, this time located in Chicago. For more than 20 years, if you’ve wanted to attend a great alternative or indie music festival and happened to live in the American Heartland, Lollapalooza was, has been, and remains your best bet. For all that, however, Lollapalooza has crossed over into the mainstream, gaining international recognition, and its name even being parodied in an episode of The Simpsons. All that being said, Bonnaroo is really a celebration of all forms of different music—sure, you have your indie, alternative, and hard rock, but you’ll also get a taste of jazz, gospel, country and folk music as well. McCartney, Kanye, and the Beastie Boys again, the Beach Boys, Bruce Springsteen, Elton John, Willie Nelson, Bob Dylan, James Brown, Stevie Wonder, Metallica, the Red Hot Chili Peppers, and many, many more.